There are so many creative ways to use vintage maps. I thought I'd share a few lighting projects with you today. 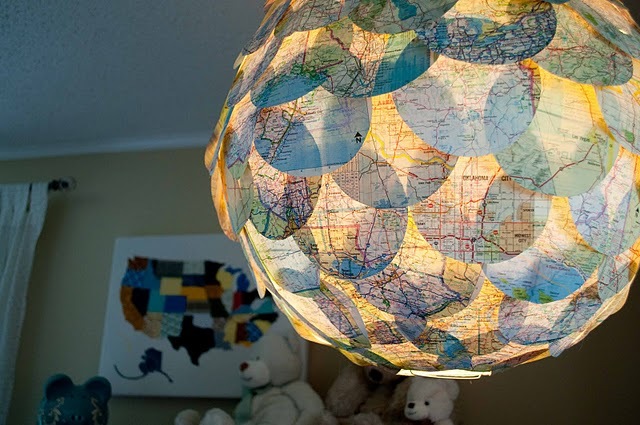 Check out this gorgeous light! You can find a tutorial showing how to make it at Paisley Sprouts. This light created from old maps by Umbu is stunning! 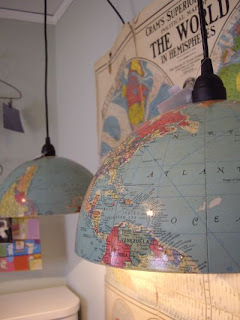 There's a fun lamp tutorial at Modge Podge Rocks. 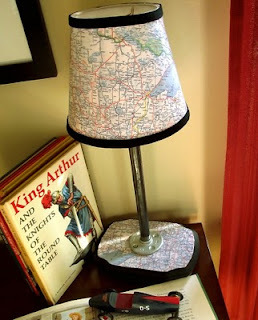 you could definitely decoupage a plain metal one with maps instead. 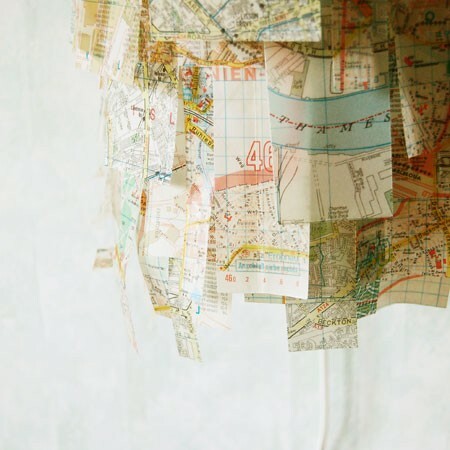 Got some map inspiration to share? Feel free to leave a comment with a link!